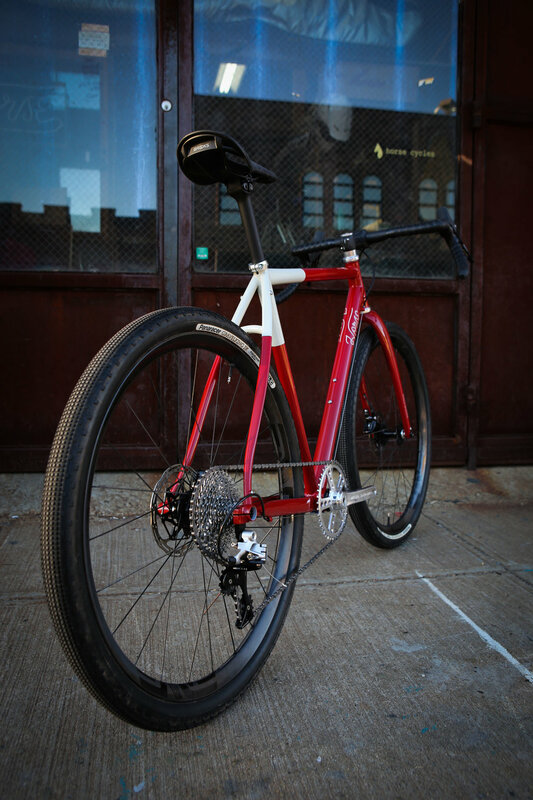 18.2 lbs is pretty light for a steel bike for sure, and extra super duper light for a gravel bike. How did we get it so light? 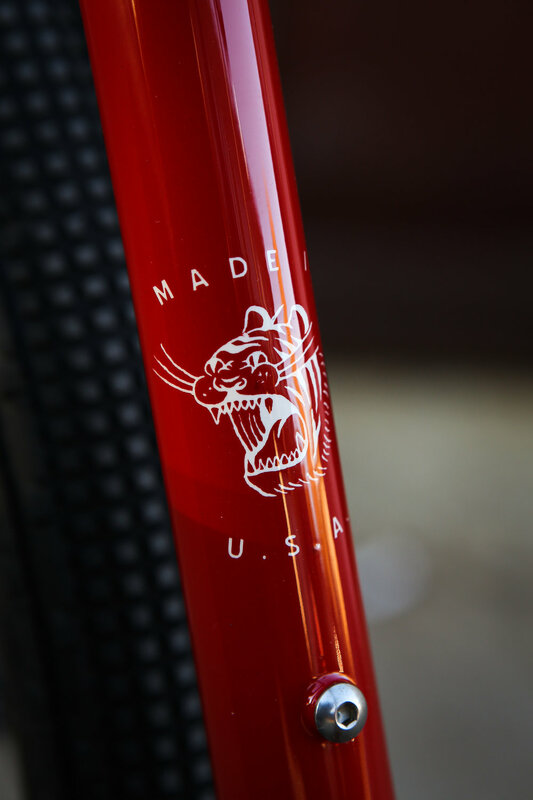 We use the very lightest and strongest tubes possible without compromising durability; the frame utilizes Columbus Life and Dedda heat-treated alloy tubing. We drill out the tube intersections to reduce weight wherever we can. This bike being around a 55cm frame also helps keep the weight down. We are able to chose lighter tubes for lighter riders and get the same end performance. The main reason for the weight savings are the components, namely the carbon components. 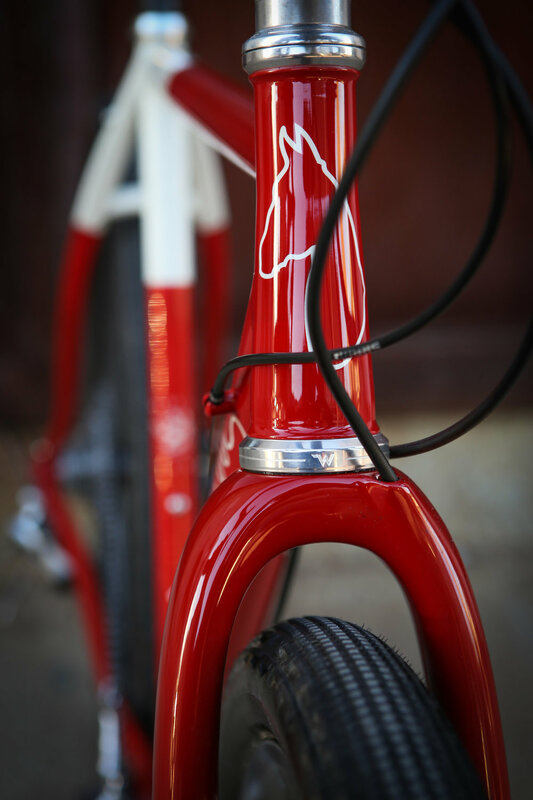 The marriage between the ride quality and durability of steel and the beneficial characteristics of carbon is ideal. 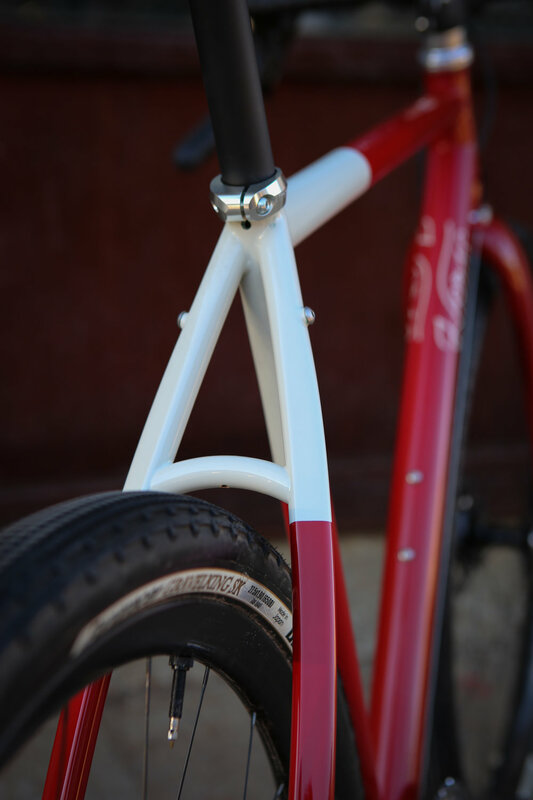 If the frame and fork weigh 3lbs, then most of the total weight is the components. 15.2lbs in fact. Nothing special about the sram force group, and though the White Industries G-30 cranks are my choice over any other, they are not the lightest out there for sure. The Enve Gravel fork, G-bar, stem and seatpost rule for performance and are a huge factor in keeping weight down. The biggest advantage in weight savings and the one component that really adds to the performance of this Gravel Monster are the wheels. Keyed up with Enve G27 - 650-b front and rear really complete the picture and allow this bike to perform at the front of the pack wherever you may ride. The Wheels are the first and best upgrade I recommend when helping chose gravel components for customers. if those are out of the question, the G-bar is my 2nd. If you can roll with the cost of carbon components i would highly recommend it. Lighter is better because you feel more connected to the road or lack there of. Most noticeably it offers an advantage while climbing. It’s pretty special to come out of the saddle and feel the acceleration as you rock back and forth; less poundage to hold you back, allowing you to float as you climb. This custom Gravel Monster for Lucas Dowers (his 2nd Horse) is a gem. This rig pushing the boundaries of the modern steel machines made in the U.S. today and we couldn’t be more happy to be making rad bikes for amazing people.